Is silence golden? When I imagine silence I don’t see gold. I more likely see black or even white. How does one visualize silence? 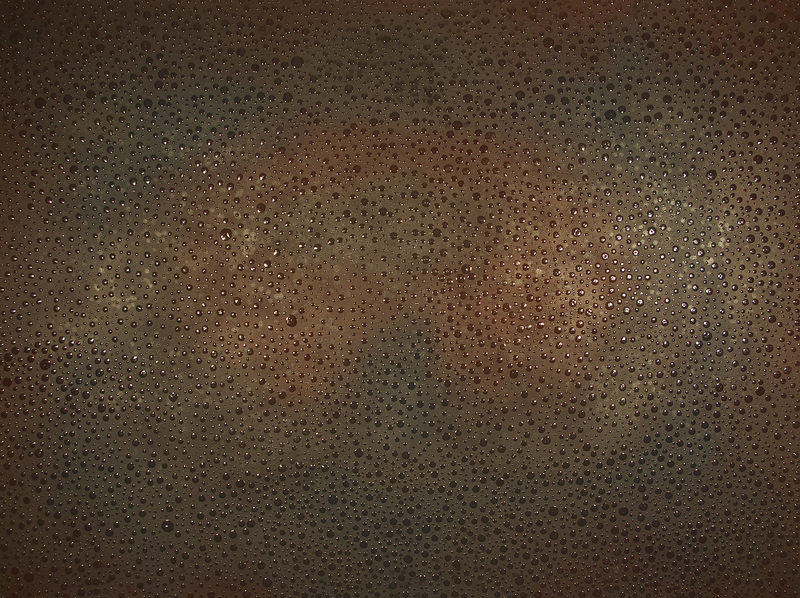 And, why do certain images come to signify silence? Silence is conceptual. Even though, as composer/artist John Cage stated, “There is no such thing as silence. Something is always happening that makes a sound.” And he sought to prove this in his 1952 performance 4’33”. In fact, pure silence is not obtainable or feasible; even though, we often sense it, feel it, and maybe even see it. Silence thus is an internal stillness, calmness. Silence is not necessarily a lack of sound as it is a cultivation of interior peacefulness, a stilled and quieted soul. Silence is the sound of breath. Silence is the sound of the wind, the sound of nature. Silence is an undisturbed, singular focus and complete absorption into something in the present moment. How does an artist capture the concept of Silence? How does one depict in an image or object the essence of silence? The artist must produce a ‘void’, a feeling, a resonating, a relation to language, something dialectical. 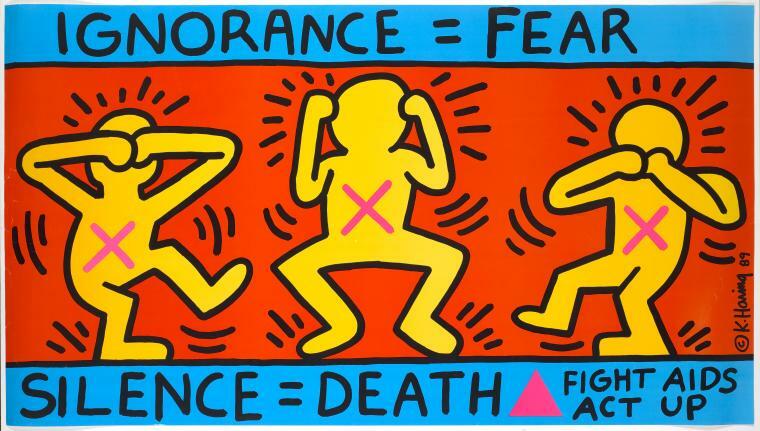 The 1980s Pop artist, Keith Haring, loudly proclaimed a political sound to silence. Influenced by the ancient Japanese philosophy of the three wise monkeys which commonly portray that seeing and saying nothing is virtuous, Haring counters that belief by stating its opposite in a work from 1989: Ignorance = Fear / Silence = Death. 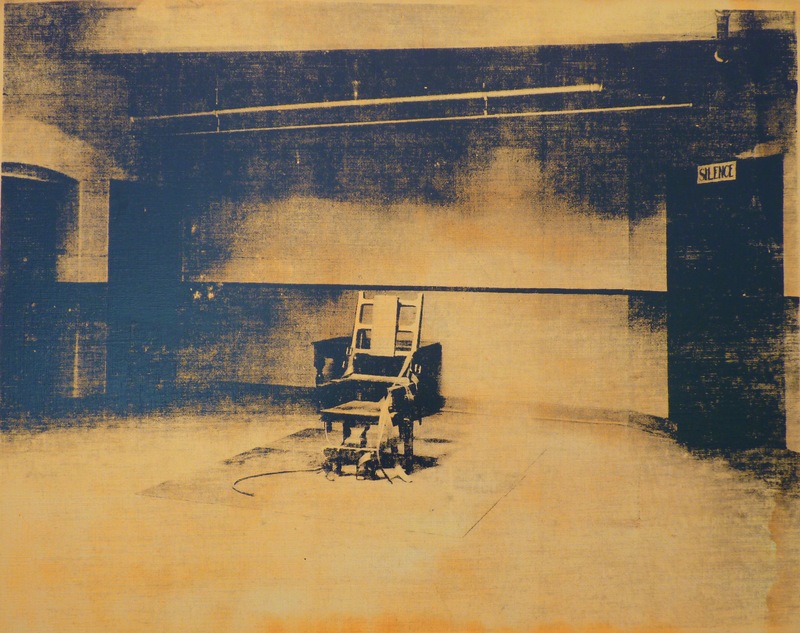 Also politically charged, Andy Warhol’s Electric Chair (1971), a series of 10 silkscreen prints, stages a bleak, empty electric chair in his usual colorful Pop Art fashion. While some see profound silence and emptiness, I hear an echo that radiates of protest, pain, and a dispiriting atmosphere of power instilling hopelessness in the name of justice. Both artists relate silence to death, the former illustrating that by keeping silent you are an accomplice to death and the latter depicting, although ambiguously taking a stand, that capitol punishment shall provide the ultimate silencing of the contrarian, nefarious voice. Yet, even death cannot silence. Through memory and art–the recording of a life–the deceased are not silenced. 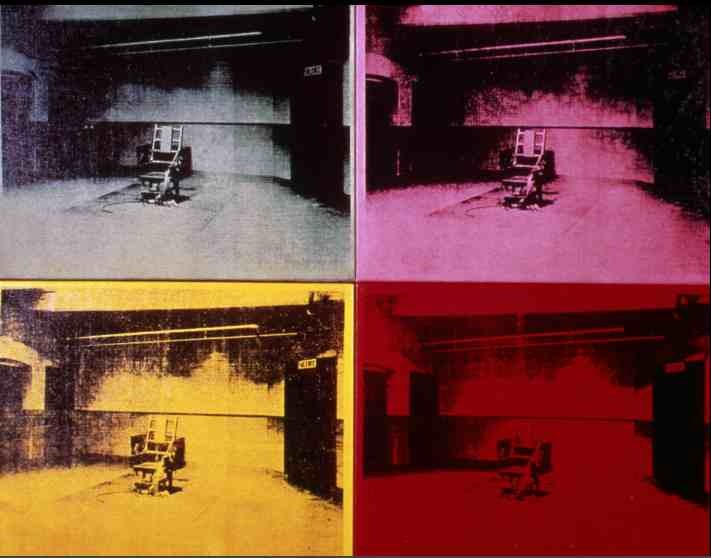 Andy Warhol, “Electric Chair”, 1971. Silence can be unsettling. Most surely you have felt that pregnant pause or an awkward silence. Ingmar Bergman’s film Persona, an artistic psychological thriller, bares the angst-ridden and mentally tormenting aspects of the act of silence. Marina Abramovic’s performance art channels that same psychologically unsettling feeling, such as in her 1974 work titled Rhythm 0. For six hours she stood silently in a gallery space while an audience of participants chose from a variety of objects ranging from a feather to a loaded gun in which to taunt her out of silence. This performance illustrated both the committed passive/aggressive action by the artist to remain silent, and the audience members reacting from their inner desires (or demons) in response to her silence. Less disturbing, Abramavic performed The Artist is Present in 2010 at MOMA, where she sat face-to-face with a rotation of participants in a silent stare-off. Some say silence is a void. Contrarily, Silence is a presence. Meditation, mindfulness, and Silence are actions. With attention and focus, one cultivates inner silence, blocking out both exterior and interior noise. In Kimsooja’s videos A Needle Woman (1999-2001/ 2005), A Beggar Woman (2001) and Homeless Woman (2001), all political and peaceful, the artist is seen standing still and silent amidst a sea of people hustling hurriedly down a crowded city street, or lying in a quiet, meditative state amongst crowds of curious onlookers. Watching her videos, I consciously stop; I am present experiencing an almost existential feeling. I, as a spectator become still, mimicking Kimsooja. I completely absorb the moment, not distracted, quietly contemplating and awakening to the beauty of her silence, becoming aware of how inattentive many of us are to those around us as we rush to and fro, day to day. If Silence is not golden can it be beautiful? Shea Hembrey captures the concept of silence by summoning the beauty of silence–the softness, lightness, and calm—on canvas and in sculpture. Shea Hembrey, “Dark Rain III”, 2012. With painterly bravado, Hembrey’s series, When Eyes Are Closed (2012), illuminates what we see when we close our eyes in the night, in the daylight, or in a room with artificial light where dark, light and thought can seep in. These paintings capture the silence when shutting out the world to our inner thoughts. In his canvases we can see, remember, the moments when, if we try, we shut off our mind to the noise of even our inner thoughts into a state of meditation. Shea Hembrey, “Font” detail, 2013. 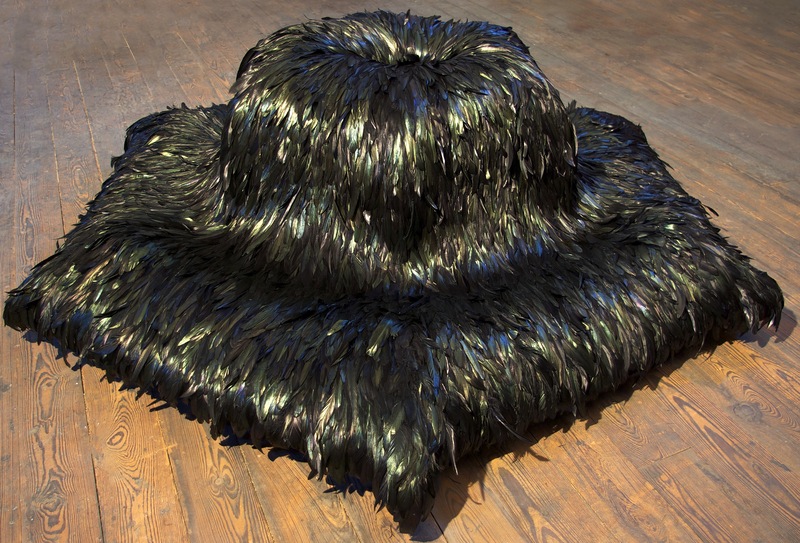 Hembrey’s voluminous sculpture made from feathers, Font (2013), captures how I would imagine silence would feel if I were able to touch it. 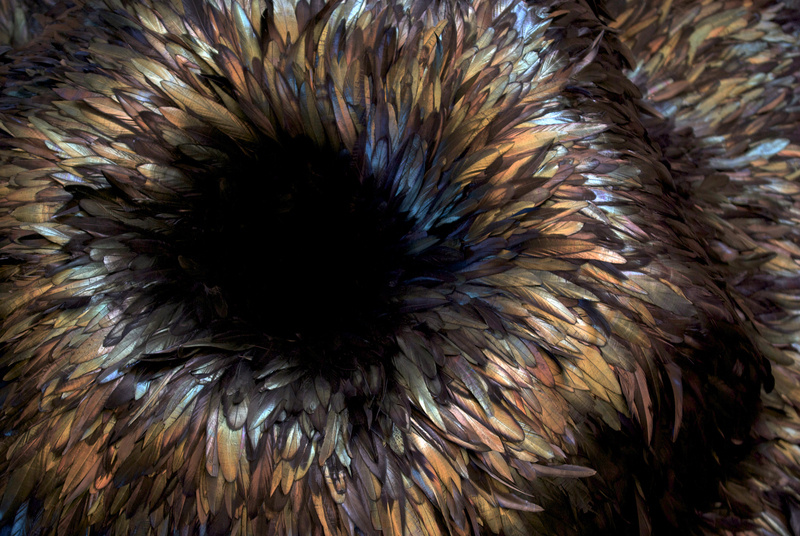 I imagine a calmness of sinking onto or into his feathery sculpture where all else around or inside me rests. 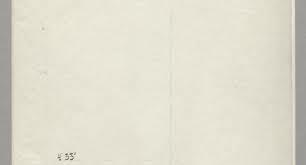 I envision a stray feather, shed unawares from a bird flying past, floating down from the sky (in the case of Hembrey’s Font, a mass of feathers from a passing flock). 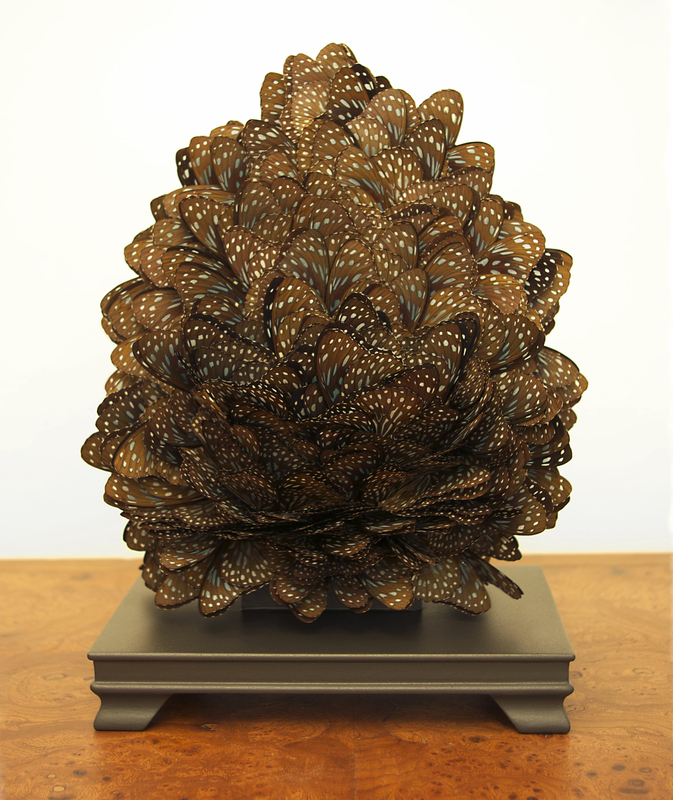 Hush (2013), a smaller sculpture made from hundreds of butterfly wings, withholds the silent sound of fluttering butterfly wings. In form resembling a Chinese scholar stone, an image to inspire dream-like contemplation. For some silence may be golden; for me, silence is the between; it is essential. Seek silence in art, in nature, in your day-to-day by simply noticing the clock ticking, the whir of your computer’s static energy, the noise of a distant siren, your breath. Be still and notice the silence in the midst.